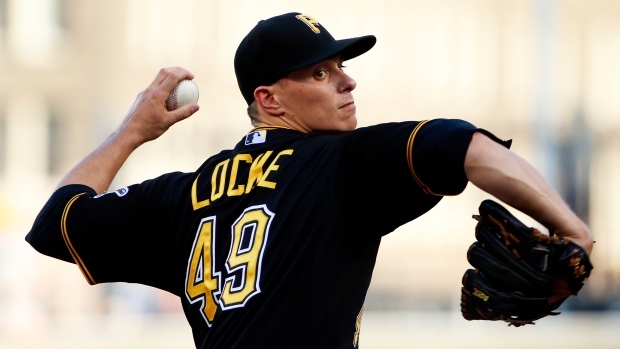 PITTSBURGH, Pa. - Jeff Locke doesn't have the same electric stuff as the other four guys in Pittsburgh's rotation. "Everybody has been throwing the ball so well," Locke said. "You never want to feel like the weakest link, not that you ever do. You never want to feel like you let anybody down. You just want to keep it going as long as you can." "It's been more consistent team at-bats," Harrison said. "You know early in the year we showed flashes of here or there but it wasn't throughout the lineup. That's how we are when our whole lineup is like that, we're a dangerous team." "I felt when I had two strikes that I had the hitter done already," Urena said. "I made a mistake up in the zone and those are things you learn as a rookie. You can't stop until you get to three outs." Kang singled home Harrison to give Pittsburgh the lead in the first. Harrison — who has multiple hits in six of his last 11 games — doubled home Jordy Mercer in the third and Walker then sliced his third homer of the season into the seats in left field.